This wonderful summer camp for girls had some complex needs. The public website, as well as the private login area for parents, had to be melded together and migrated into WordPress. Above all, it was important to showcase photos and videos so that parents could experience where their daughter might spend a week or even the whole summer. I worked with the camp’s amazing directors to vastly simplify the structure of the site so that parents, alumnae, and staff could quickly find what they needed. 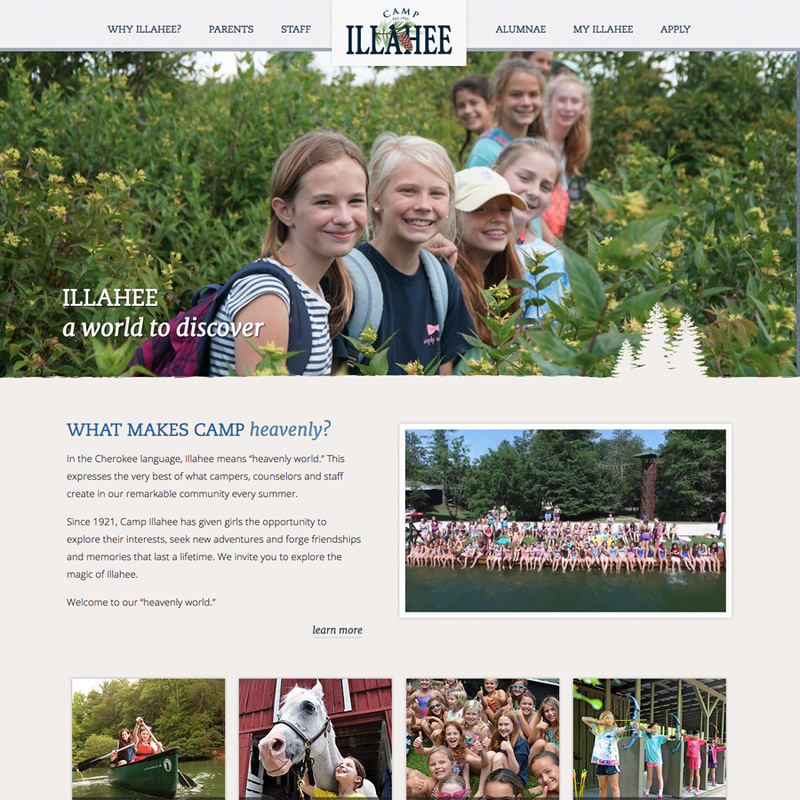 The result was a fun but polished online presence for the nearly 100-year-old camp. Lydia’s natural sense of design, knowledge of WordPress and willingness to listen and learn about camp helped a comprehensive project with lofty goals take shape in a matter of months. Our hope was to create a custom site that would be intuitive to navigate for families, staff and alumnae, a site simple and warm in feel and complete with pertinent information. Lydia’s design helps mimic camp through showcasing the many photographs and fun videos taken each summer. And finally, with Lydia’s strong ability to educate, we are able to update and manage the site in house and with confidence. Kudos to Lydia for working closely with us and helping meet our goals!